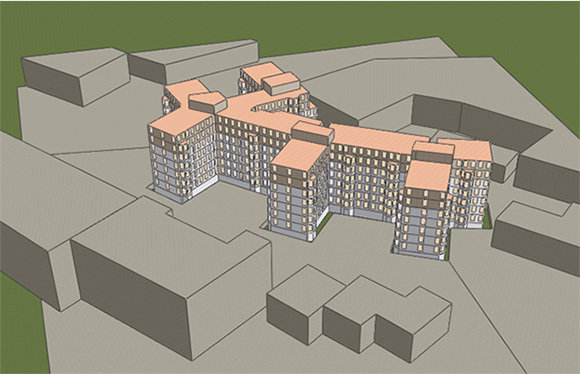 This is a study on a 90 units residential site that investigates a range of energy efficiency measures that have potential to be applied to the dwellings and the communal areas of the building blocks. The study includes dynamic Thermal Modelling (DTM) modelling, market survey on the costs of the measures, a sensitivity study on their energy cost savings and their payback periods. This is a work for Metropolis Green, 2012. The first stage of the analysis is to establish the baseline performance of the existing building. 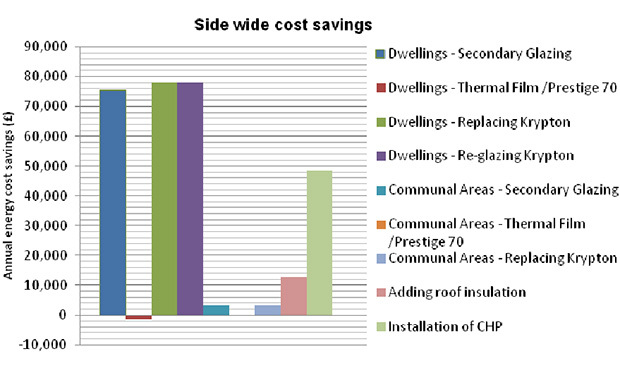 The second stage of the analysis is to model each energy efficiency measure. The third stage of the analysis of South Lodge uses cost estimates for each measure to calculate the cost effectiveness and payback periods of each applied energy efficiency measure.